Industrial NUC. A little computer goes a long way. For more than 14 years, we’ve committed ourselves to making computers more reliable, durable, and flexible. We also pride ourselves in taking care of our customers, working with them to make sure they’re getting the solution that best meets their needs without the long lead times, MOQ’s, or dealer markups of a typical IPC company. The Next Unit of Computing represents the evolution of computer hardware, bringing the power of a full desktop tower to a system that fits in the palm of your hand. 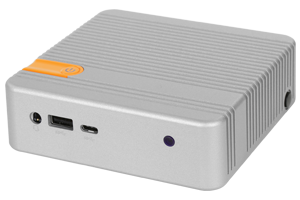 Don’t let its diminutive size fool you; the NUC still packs full-featured I/O into its low-profile coastline, giving you the flexibility you need in an attractively small package that can be installed virtually anywhere. 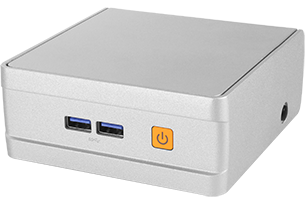 Powered by the latest generation of Intel processing, NUC systems from Logic Supply tackle your most challenging industrial computing tasks, while adding the reliability of all-metal enclosures and solid-state construction. And with options for 5 year lifecycles, our NUCs help minimize re-certifications and product qualifications to provide an embedded platform you can depend on. Our Hardshell™ Fanless Technology in the ML100 and CL100 series, not only helps cool these tiny powerhouses, but also protects them from dust, debris, dents, and dings. This maintenance-free design saves you time and repair costs and makes the NUC ideal for constrained installations and challenging environments. Never let a remote installation or spotty internet access stop you. 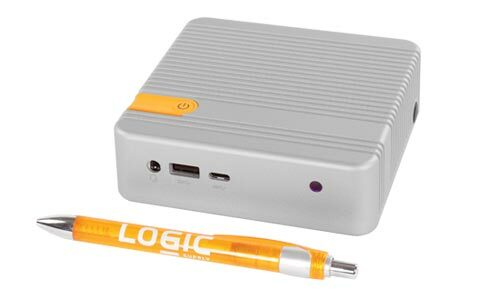 The ML100 series is the first and only cellular connected industrial NUC, featuring our Extrovert 4G modem. Always on, always connected. Our industrial NUC’s are striking, but they really shine when customized. Our Rapid Branding Program helps you expand your brand image through the visual customization of your system, including colors and graphics, in as little as 30 days. Stand out from the rest with your unique NUC. 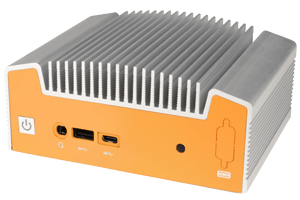 The ML100 brings Intel’s latest generation processors to our toughest, fanless NUC enclosure ever and is available with a 5 year lifecycle. The NC100 offers reliable protection with its actively cooled aluminium chassis, features latest generation Intel processors and a 5 year lifecycle. Ultra-small and ultra-reliable, the CL100 packs dependable performance in a fanless system that can be installed virtually anywhere.